If we were to tell you to find your Omaha, you would probably wonder what Nebraska has to do with growing your business, right? The truth is, there are several Omaha’s across the United States. The question then becomes, which destination is your “Omaha”? Like planning any major trip, you the owner, must have a unique, well-thought out vision for your business’s destination. If you were about to take a multi-day cross country drive, would you just say “get in the car, we’re going for a ride”? Of course not. You would take some time to plan, discuss options with your family, and sooner or later pull out a roadmap to plot your trip. So why is planning your company’s future any different? It shouldn’t be. 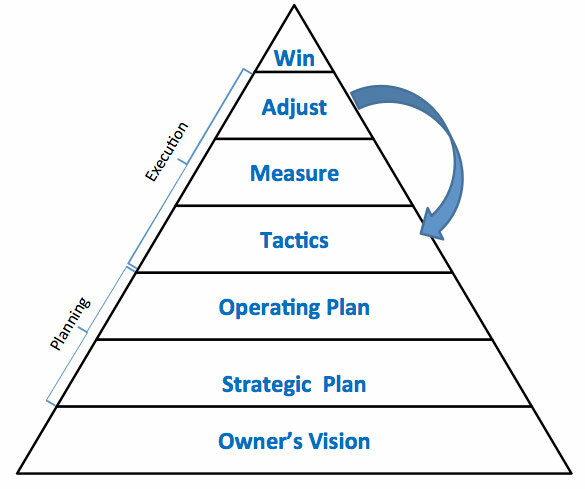 Planning the strategic and operational direction of your business is critical to performance. Without a plan, how do you know if you’re on track or taking a major detour? Find Your Omaha™ is a strategic planning process we use each and every day to drive our client’s performance to a level they never dreamed possible. Our team of advisors and consultants at Owner’s Edge work alongside business owners to not only ensure your Omaha is clearly articulated and achievable, but we also help implement this unique competitive advantage across all levels of your company. Your Omaha is too important a destination to travel alone. Let Owner’s Edge help you build your roadmap to profitability.